WinOLS is the industry standard for modifying ECU software. Through WinOLS application you can easily adjust the ECU's contents. WinOLS is designed for finding and changing maps, for that multiple options and tools are available. Over 40.000 tuning files are prepared and stored in the WinOLS database. By being our client you get a big advantage because through WinOLS you can download our safe and well-prepared tuning files for your individual clients. Since we are tuning files daily and our database grows fast, you will be able to find 100% match tuning files for Stage 1, Stage 2, Stage 3, pop and bang and more. 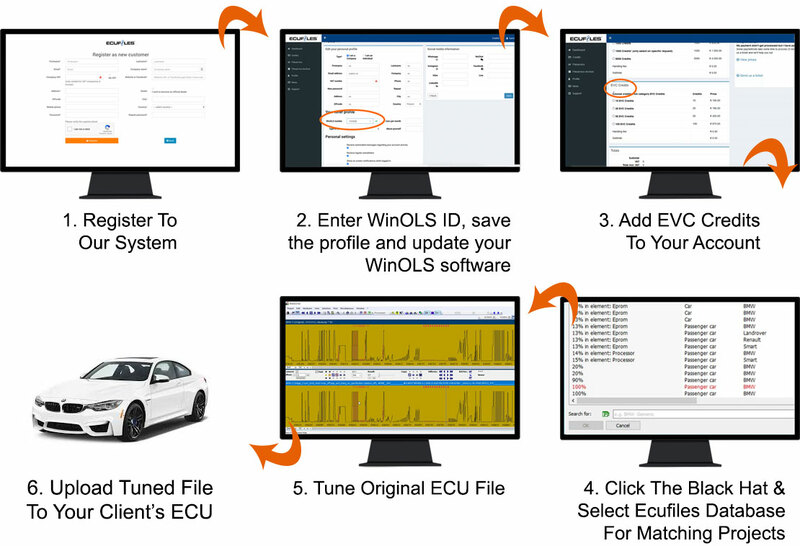 In order to get instant access to a database that has ready to flash tuning files simply register to our system, provide your WinOLS customer ID and automatically it will get connected to WinOLS database where you can find thousands of Tuning Files from ECUFILES. 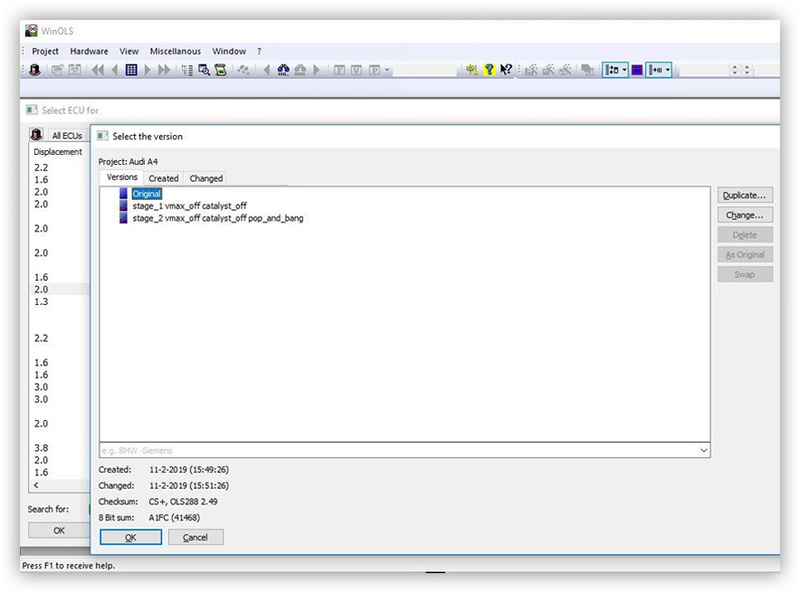 If you are wondering how to tune your client's file or you don't have time to change ECU file's data manually, our database becomes very handy. 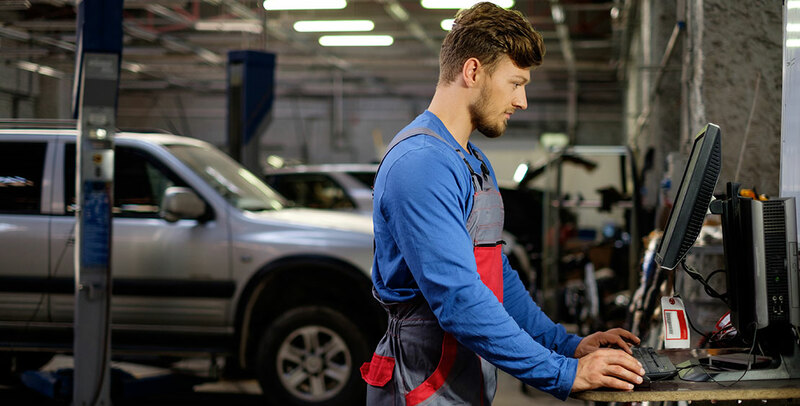 For sure your clients will appreciate you when you are able to tune their car within a couple of minutes, not a couple of hours. Beside that our tuning files are safe, professionally developed and tested, we are ready to help you. When you get a tuning file from our database, you do a small modification and for example, you get stuck by not being able to solve something, we are here for you. Simply contact us and we will guide you / help you tune up that specific file. - Tuning files for European, American and even many Asian vehicles. - Real-time technical support in case of issues. Our team of calibration engineers is ready for you. - Many times we offer more versions of tuning solutions inside one project for the price of 1 tuningfile. For instance: stage 1 vmax off, stage 1 vmax off & catalyst off, stage 2 vmax off & pop and bang on sport button & catalyst off this will give you the power to offer your client more options and change options afterwards. For newbies: It will also help you to understand the ECU better and learn more about tuning by investigating the different versions in the project. Not yet registered on ECUFiles? Our team of engineers constantly develop new tuning files. Including many modifications, we have multiple files for each project to help you provide fast and best service for your clients. Buying high-quality tuning files has never been easier! 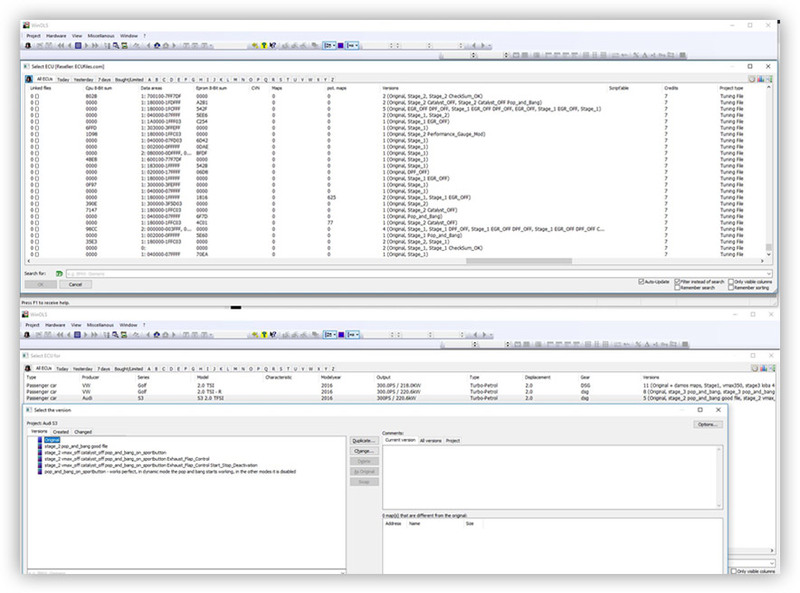 Just connect your WinOLS database to our EVC WinOLS reseller database!